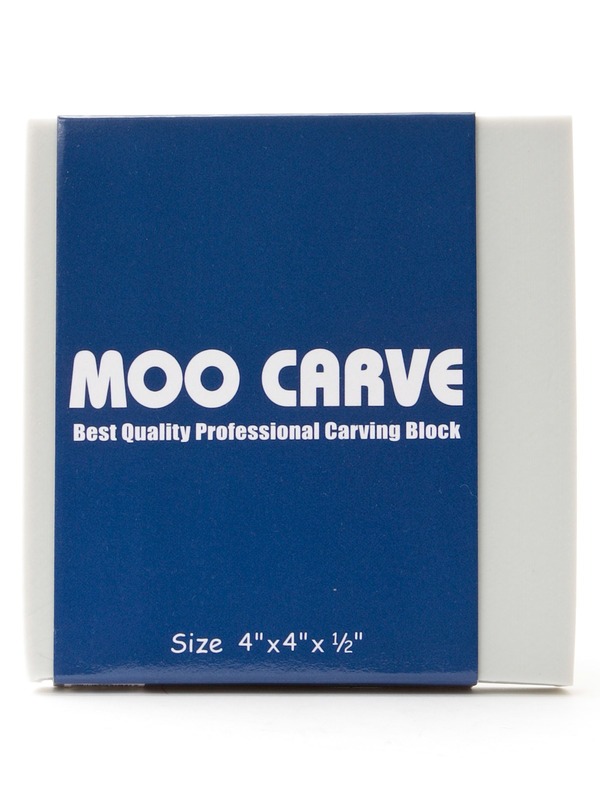 Create your own rubber stamps with these Artist Carving Blocks. 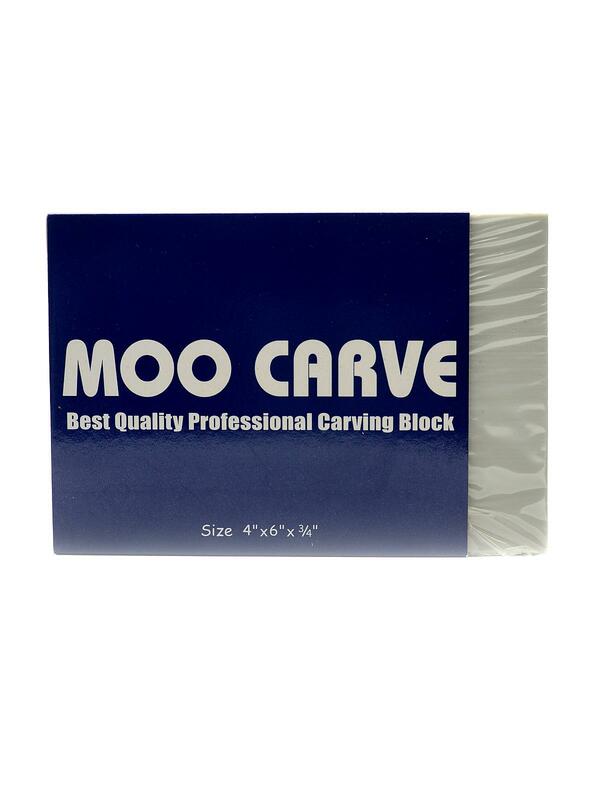 Moo Carve is a soft vinyl material that cuts like butter, yet holds small details and fine lines without breaking off or crumbling. 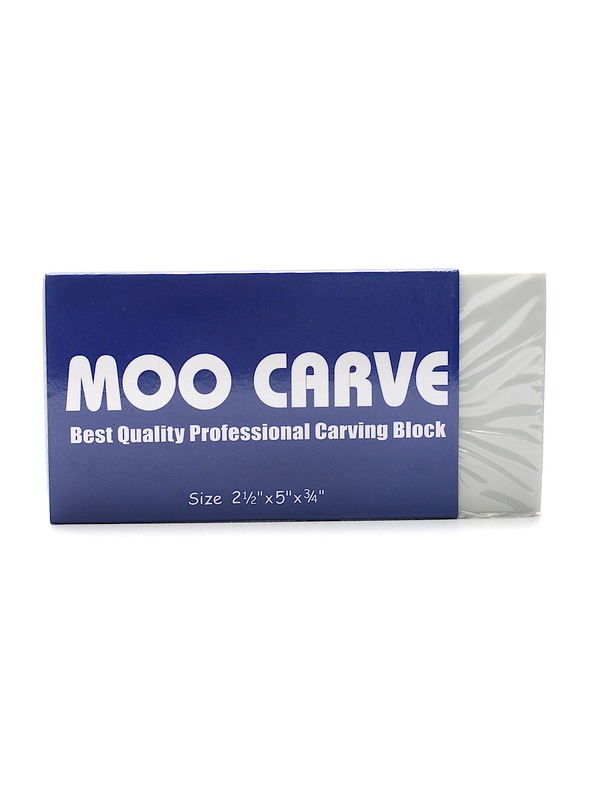 There are six different sides to carve, and you can easily transfer your own designs. 2 1/2 in. x 5 in. x 3/4 in. 4 in. x 4 in. x 1/2 in. 4 in. x 6 in. x 3/4 in. Size : 4 in. x 6 in. x 3/4 in.